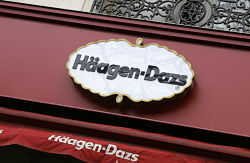 2 Well Established Häagen-Dazs® Shops in NYC Can be Sold as a Network or Individually. 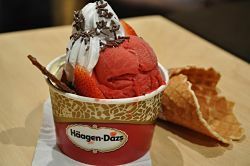 This is a rare opportunity to purchase 2 Häagen-Dazs® shops in New York City as a network or individually. Each store is in a great location (Columbia University and NYU) and has a Class A landlord with favorable lease terms and below market rents. Both shops sell custom cakes, provide catering and have over 200 corporate clients. There is a strong online presence with a professional website (http://www.nycicecream.com), on line ordering through UberEATS and grubhub, and a 10,000 e-newsletter list. Sale price includes All FF&E, customer lists, marketing materials and website. Current owner is selling as they are relocating to the West Coast. Both shops have Class A landlords with favorable lease. 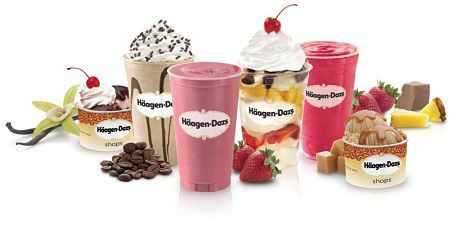 Established more than 50 years ago, Häagen-Dazs® is an internationally recognized brand that stands for the most delicious ice cream made with the highest quality ingredients. There are more than 400 Häagen-Dazs® shops in the United States and internationally. The franchisor offers a two-week training at its Minneapolis headquarters and offers on going support to ensure franchisee success. At Häagen-Dazs, we do nothing half way. We take pride in our ice cream, using only the freshest ingredients and best-in-class flavors to create a truly delightful dessert experience. Because of our dedication to quality, our ice cream is considered by many to be the best ice cream on earth. Our name is synonymous with exceptional, high-quality desserts, no matter where you go. Because of our strong, strategic branding, your dessert franchise already has a leg-up on the competition. If you’re looking for fantastic ice cream, you reach for Häagen-Dazs. To find out more about these 2 Häagen-Dazs® franchise locations for Sale please fill in the form below and submit.